When your system stops working or it needs maintenance, turn to us for our heating and cooling services. 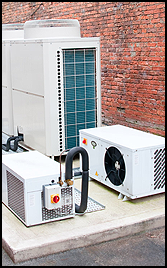 Allen's Heating & Cooling, based in Wetumpka, Alabama, repairs and maintains existing systems and sells and installs new systems for customers. No matter your budget, Allen's Heating & Cooling has your heating and cooling needs covered. We offer affordable repair, maintenance, and installation for all types of systems and even offer money-saving maintenance plans. For your convenience, we offer flexible scheduling and will arrive at your location within 24 hours of your call to address your needs. A trained and certified technician will inspect your system and perform the necessary service. Contact us to request a free estimate for a new air conditioning or heating system in your home.